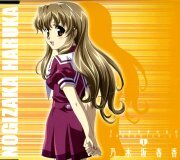 This CD contains a character image song for the TV anime Nogizaka Haruka no Himitsu (乃木坂春香の秘密). Songs by Noto Mamiko (能登麻美子). 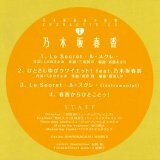 Track 2 "Hitosashiyubi Quiet!" is a solo version by Mamiko, but it also contains some chorus parts by the other girls. Track 4 is a short talk by Mamiko as Haruka (around 1 minute).